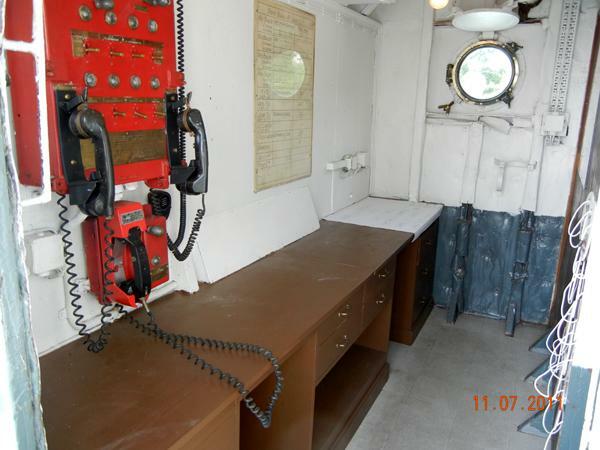 This compartment was always manned when the ship was at sea, usually with a crew of two. While awaiting any potential emergency, they would update the engineering log books, the fuel consumed per watch, scheduled routine maintenance for the day crew and other engineering type duties. 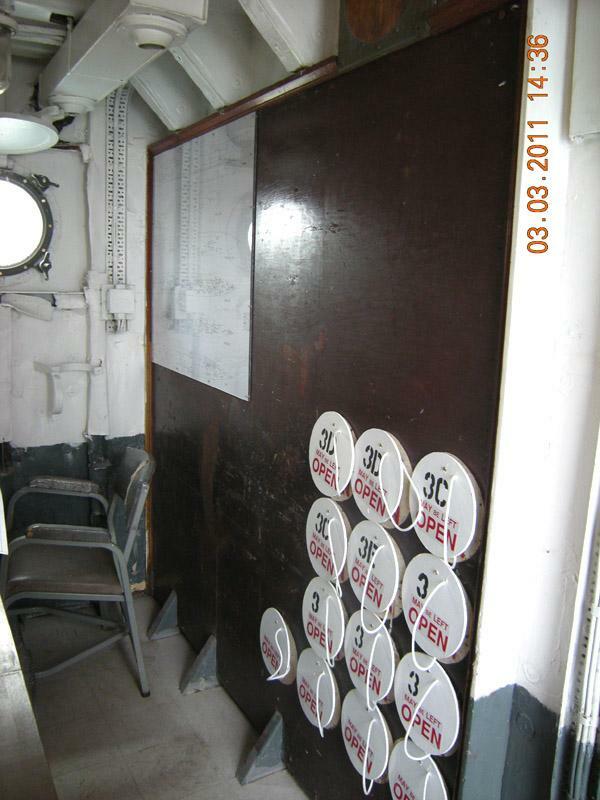 DCHQ forward bulkhead: Mounted there is a drawing of all the ships compartments that have hatches and a tag board. All of these tags were replicated to look like the originals. A closer view of the sound-powered telephone switchboard. 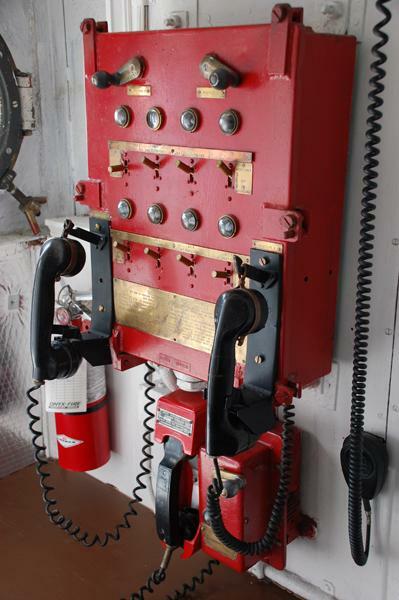 All the "red" damage control telephones throughout the ship converge on this switchboard. 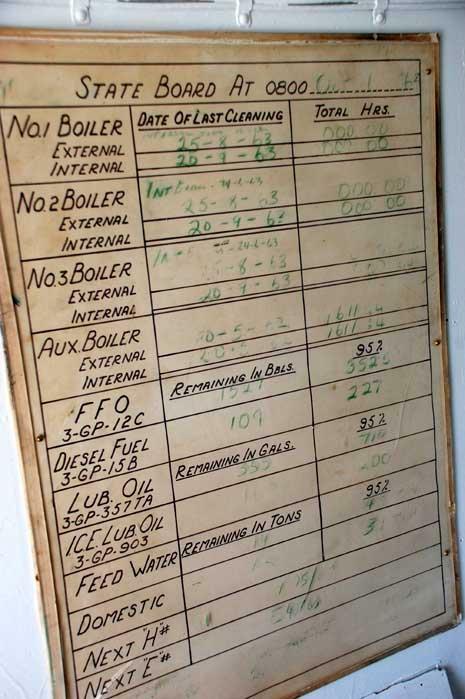 The crew who manned this compartment would keep track of the ship's boiler maintenance and some of the consumables such as water, lube oil , diesel fuel and fuel for the boilers on this stateboard. The green grease-pencil markings are the original markings from October 1963 when HAIDA was paid off. 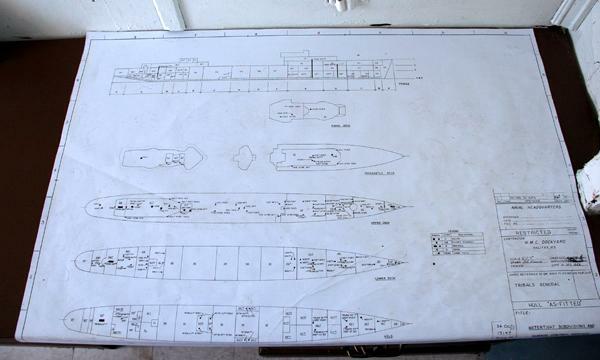 A set of deck plans was always close at hand in order to determine the exact location of an emergency.